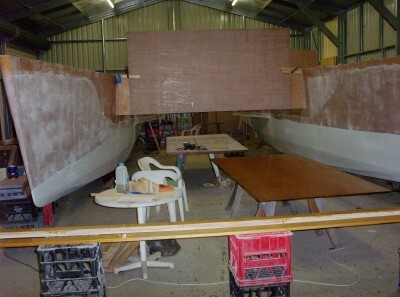 The second hull rolled off the strong back on 16th December. The whole operation took about 10 minutes, including removing the strong back. The two hulls are now joined at the bulkheads, and I'm getting ready to do the floor of the bridge deck.